In this Linux tutorial we will learn how to archive files. Is there any difference between archiving and compression? In this tutorial we will learn how to archive files in Linux. Is there any difference between archiving and compression? Some of you may often think that these terms have the same meaning. However, the two are completely different processes. Archiving is the process of combining multiple files and directories (same or different sizes) into one file. On the other hand, compression is the process of reducing the size of a file or directory. Archiving is usually used as part of a system backup or when moving data from one system to another. Hope you understand the difference between archiving and compression. Now let's get into the topic. This is a big topic, so I will publish this article in two parts. In the first part, we will see how to use the tar command to archive files and directories. sizes) into one file. There are four main modes of operation in the tar utility. For this guide, I will use the name ostechnix of the folder, which contains three different types of files. Now, let us ostechnix create a new tar archive directory. Here, the c flag refers to the creation of a new archive, where f is the specified archive file. We can also use the C logo (capital letter C) to extract the archive to a different directory. For example, the following command will extract the archive to a Downloads directory. Or, go to the Downloads folder and something like the following extract the archive. Sometimes you may want to extract a particular type of file. For example, the following command extracts a file of type ".png". $ tar xf ostechnix.tar --wildcards "*.png"
By default, tar creates an archive file to .tar the end. Further, tar the command may be compression utility gzip and bzip combination. The end of the file to .tar use ordinary tar extension to archive files tar.gz or .tgz end use gzip archived and compressed files, files tar.bz2 or .tbz end use bzip archiving and compression. Here, we use the z flag to use gzip compression method archive. You can use v to see the progress when creating the archive flag. Here, it v refers to the progress of the display. Now let's create a bzip archive . To do this, use the following j logo. In order to show progress, the use of v signs. The above command to create Downloads, Documents catalog and ostechnix directory file.odt archives, and archived in the current working directory. This is very useful when backing up your data. You can exclude unimportant files or directories in the backup, this is the –exclude option that can help. For example, you want to create /homean archive directory, but do not want to include Downloads, Documents, Pictures, Music these directories. The above command will be my $HOME directory create a gzip archive, which does not include Downloads, Documents, Pictures and Music directories. To create a bzip archive, it will be z replaced j, and the use of extensions in the above example .bz2. To list the contents of the archive, we use the t symbol. To see the detailed output, use the v flag. The above command will be named sk directory and named example.txt added to the ostechnix.tar archive. Well, here in this article we learned about how to archive files and directories in Linux. 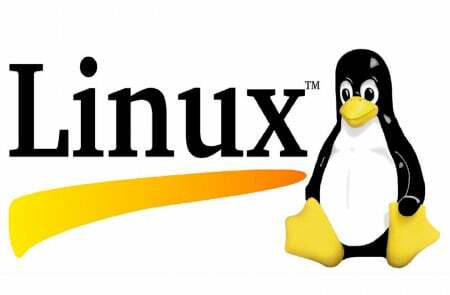 If you have any questions regarding this archiving files tutorial and learning Linux, please drop your comment in below comment section. We will get back to you as soon as possible. Happy learning. I have an experience of more than 6 years of corporate experience in various information technology platforms.